The box (and its pretty dramatic “What-if” artwork) measures 30×21.5X7.5 cm (11.5×8.5×3 inches)so its not really overly large. 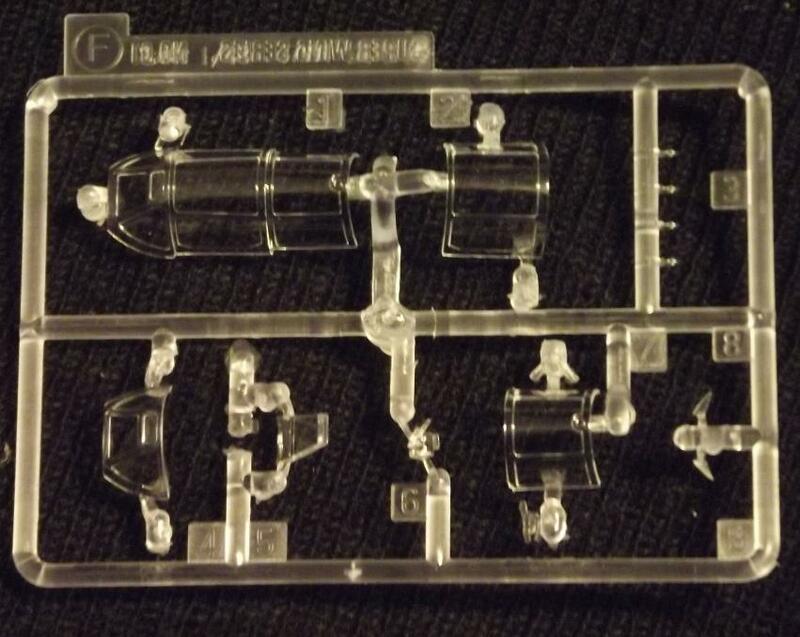 (The Hasegawa box is about an inch longer and 2/3 as deep. 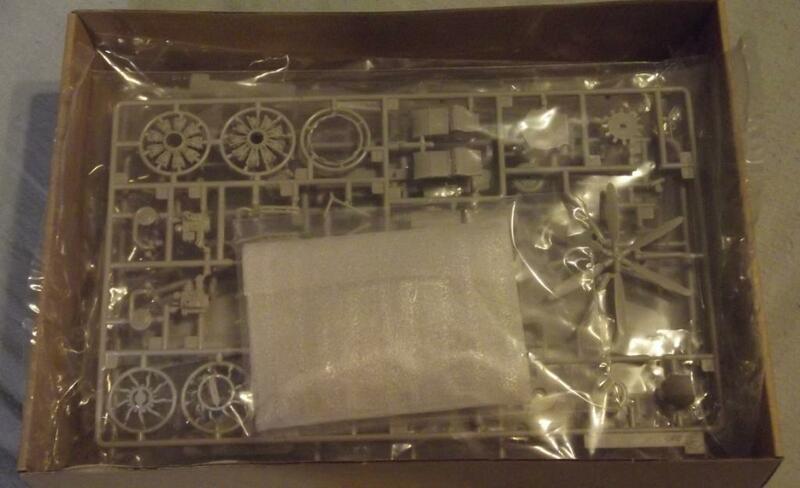 Inside you will find it is very full with 5 individually bagged light grey plastic sprue trees, 1 small bagged clear plastic spue and a bag containing the instructions and decals. The box itself is made of sturdy but quite thin corrugated sandwich card with a medium grade thin card lid- which is very tight fitting to the rest, so care is needed to remove it. 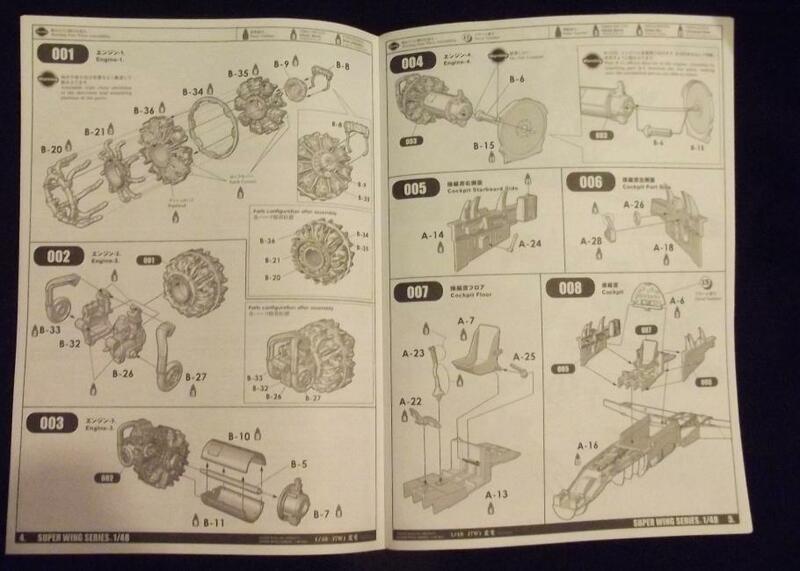 As you can see from the photos, the content fill about 85% of the box, and when delivered there was a small wad of paper to completely fill the box – Excellent packing! 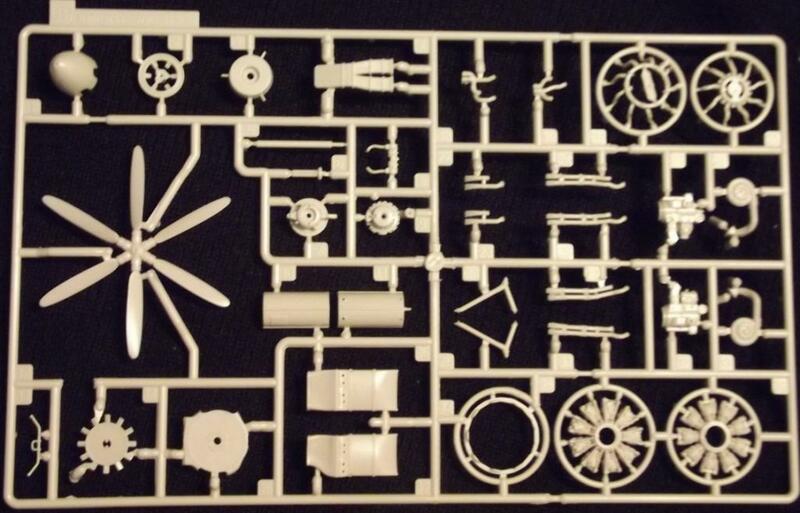 The Instructions are very clear and while lacking the “period finesse” of the 1/32 kit, are very similarly drawn in a Black/white style, They are also crystal clear to read and all colour calls are present at each stage. 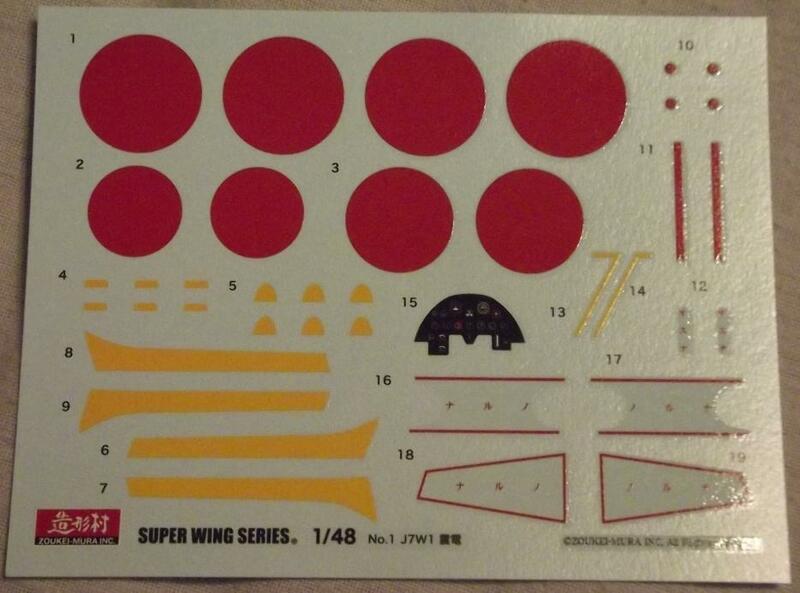 Unsurprisingly the decals are for the single completed prototype. Colour calls are tied to Vallejo Acrylics and Mr Colour lacquers. 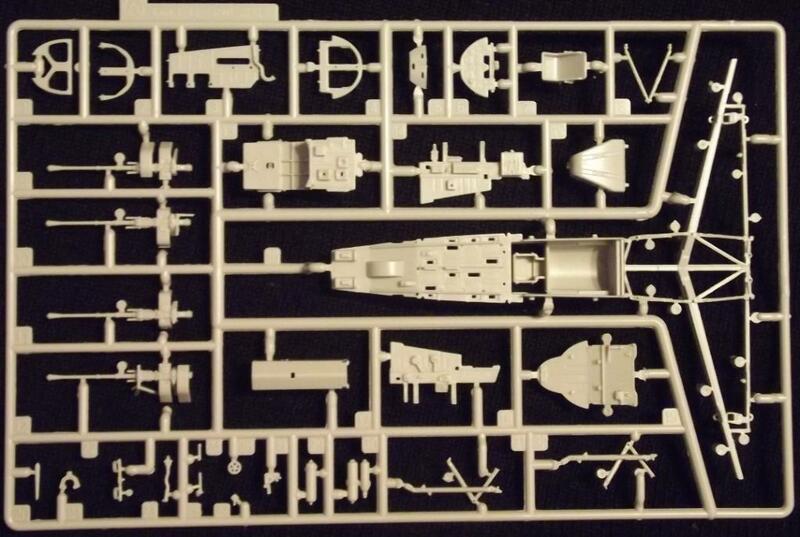 While the parts design is clearly derived from their 1/32 kit, it appears to have had a few tweaks and consolidations in shrinking the scale from 1/32 to 1/48. 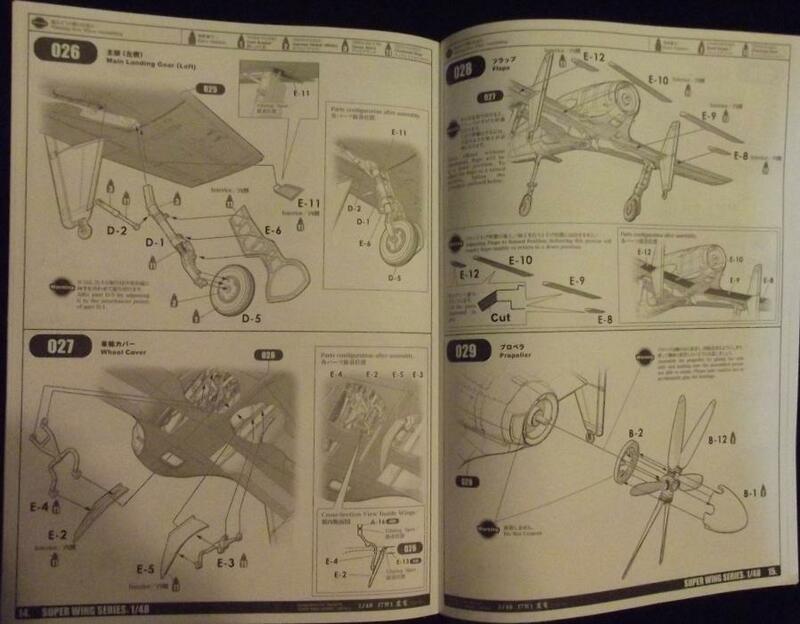 (understandably I also think their increasing experience with design tweaks show here also.) 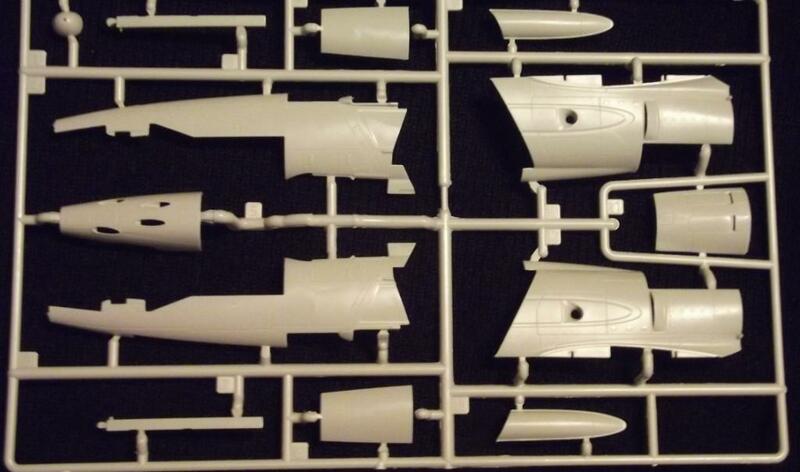 the number of parts has shrunk, several assemblie in the 1/32 Shinden are now one part in this 1/48 kit. Compare this with the old (30 odd years, now?) 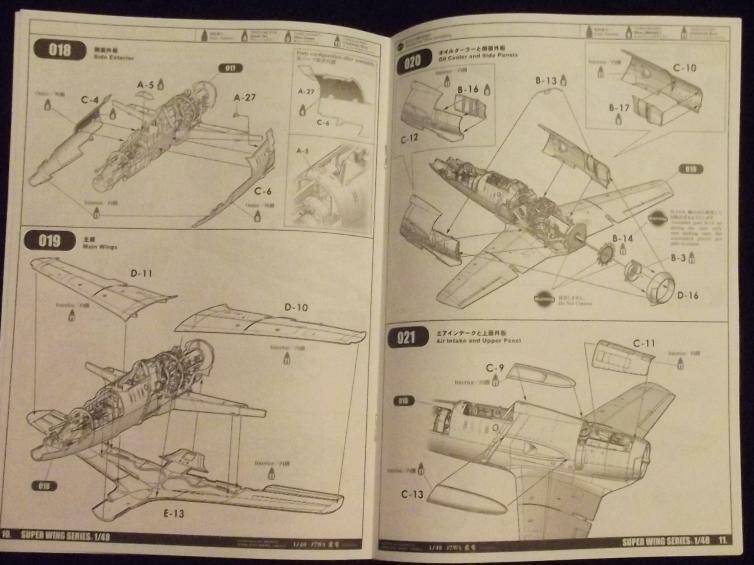 Hasegawa kit and it’s light-years ahead in detailing and accuracy.The detailing & scribing is quite beautiful, and certainly the equal of any top-flight kit manufacturer. 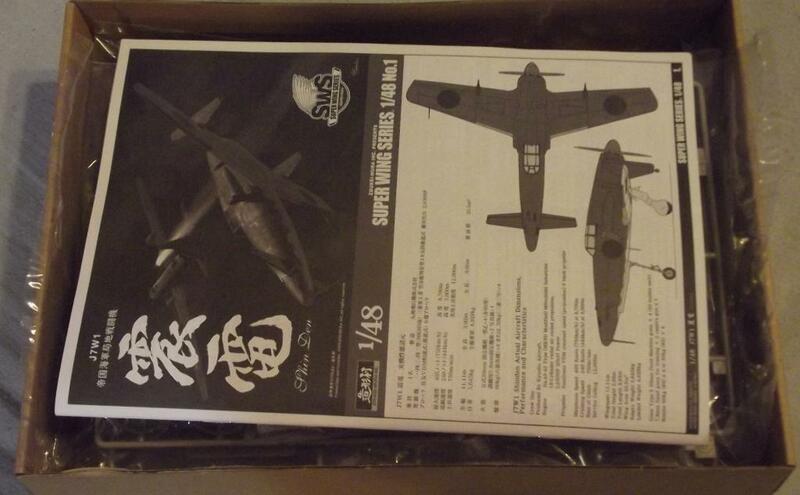 I have 2 of the Hasegawa kits and it obsoletes them, completely. 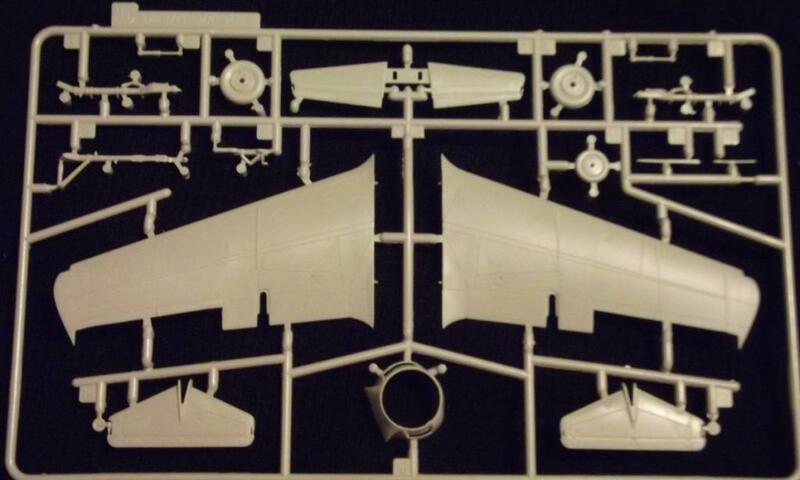 I wish that I had a better shot of the radial engine parts – they are Exquisitely detailed! 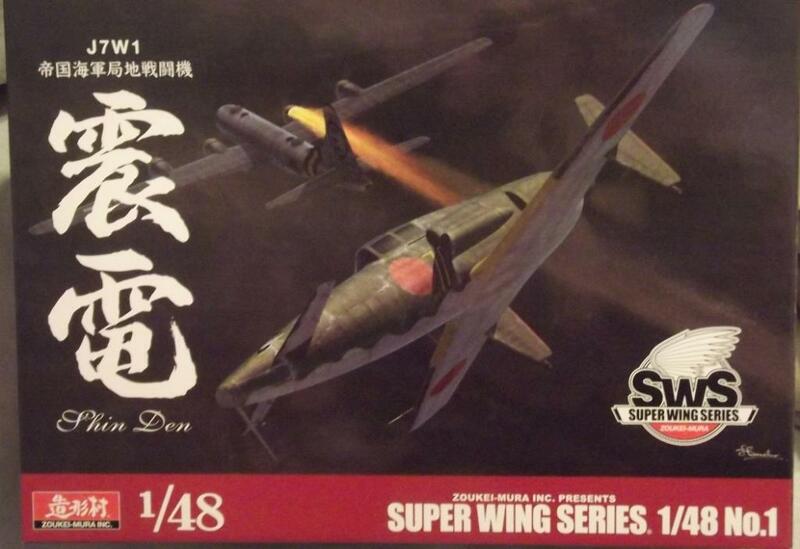 My own opinion is that this will prove to be a 5 star kit to build- ZM have come a very long way since their 1/32 Shinden kit 5 years ago. 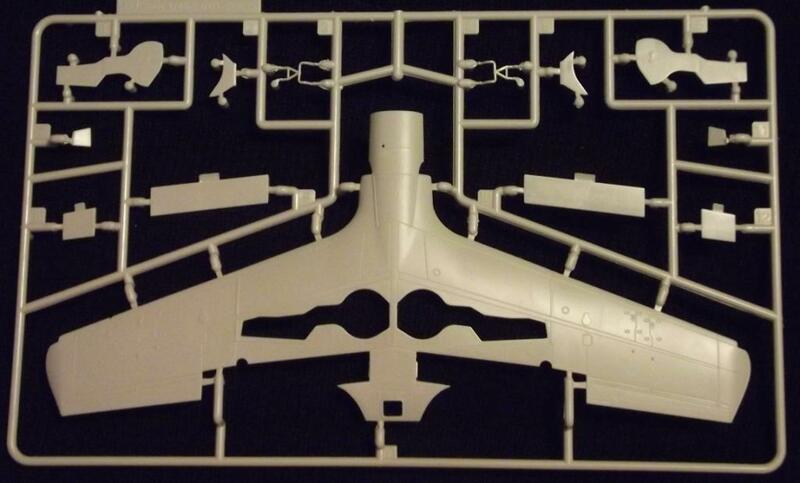 All reports I have heard of their last couple of 1/32 kits indicate that they are a straightforward (if complex) build I would guess this kit will follow suit. 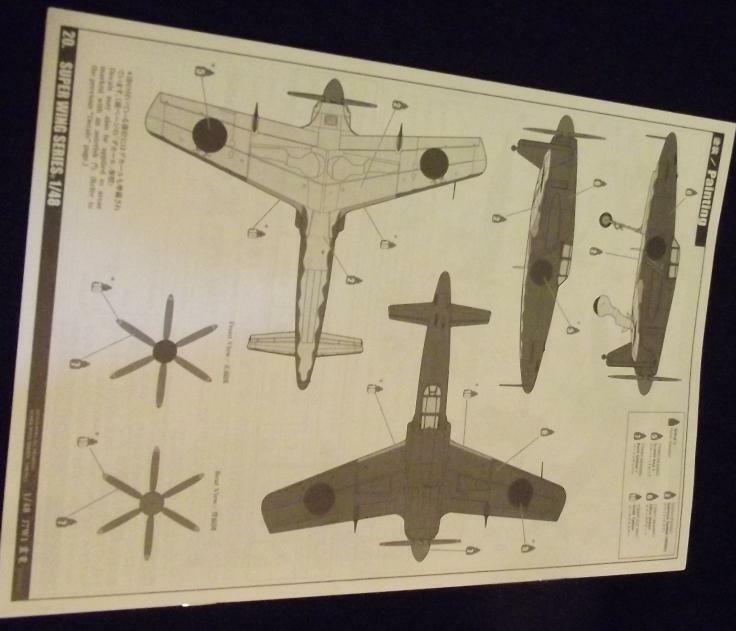 I read a write and build of this kit in a mag recently, and the opinion was it builds into a very fine kit if care is taken.